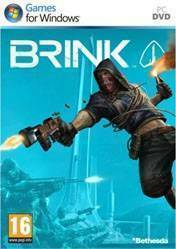 Brink is an immersive shooter that blends single-player, co-op, and multiplayer gameplay into one seamless experience, allowing you to develop your character across all modes of play. You decide the role you want to assume in the world of Brink as you fight to save yourself and mankinds last refuge for humanity. Brink offers a compelling mix of dynamic battlefields, extensive customization options, and an innovative control system that will keep you coming back for more.